At a time when students, parents and even doctors are uncertain whether opting for medical college along with the vulnerability and risk associated with becoming a doctor is worth it or not, some are naive enough to pay millions as fee for medical education and for securing a seat of MBBS. Truth cannot remain hidden for long. It has to be realized that getting into medical college is a minuscule component of the process of becoming a good doctor. Once they opt for this profession, the real tough and prolonged battle begins. Quite a few successful candidates may eventually feel that the money spent and the hard work may not be worth it, especially those who may have invested in heavy fees and in debt. Paying the irrational fee of medical colleges may be an unwise idea for the candidates, who are not from strong financial backgrounds. But at the same time unfortunately, it may be a compulsion and entrapment for students, who have entered the profession and there is no way forward or fail to get residency. The New York University School of Medicine will provide free tuition for all present and future students, the university announced. Citing the risk of “overwhelming” debt, it says every student will qualify regardless of merit or financial need. NYU said financial worries were driving graduates to more lucrative specialities, pushing doctors away from more general positions. The scholarship covers annual tuition costs of up to $55,000 (£43,000). A study produced by the Association of American Medical Colleges estimated that in 2017 75% of medical students graduated in debt. The university has reportedly been working for more than a decade to accrue the necessary funds to pay for tuition, and hopes to raise a total of $600 million (£472m) to make the scholarships available permanently. NYU School of Medicine made the surprise announcement at its annual White Coat Ceremony on Thursday – when new students receive a white lab coat as they begin their studies. In their statement, the university said debt is “fundamentally reshaping the medical profession in ways that are adversely affecting healthcare”.Graduates move towards higher-paying areas of medicine over paediatrics, primary care or gynaecology due to their “staggering student loans”. 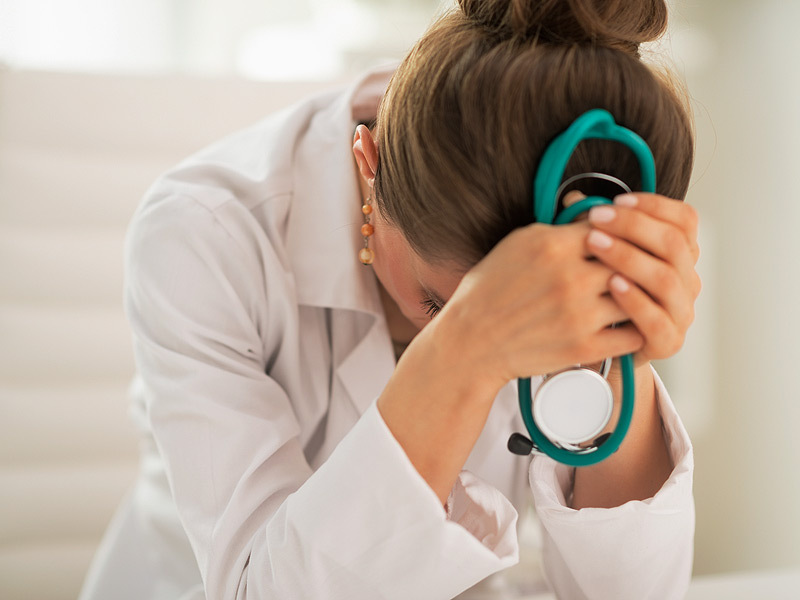 Aspiring physicians and surgeons should not be prevented from pursuing a career in medicine because of the prospect of overwhelming financial debt”. Robert Grossman, dean of the medical school and chief executive officer of NYU Langone Health, said: “This decision recognises a moral imperative that must be addressed, as institutions place an increasing debt burden on young people who aspire to become physicians.”To date, only a handful of institutions have tried to make medical education tuition-free, according to Julie Fresne, senior director of student financial services of the Association of American Medical Colleges, a nonprofit organisation that represents medical schools. At UCLA’s David Geffen School of Medicine, a $100m (£79m) fund announced several years ago pays for the entire cost of medical school for all four years, including tuition, fees, books and living expenses for about 20 per cent of its students. But that program is based on merit, not need. Meanwhile, a small medical school affiliated with Case Western Reserve University at the Cleveland Clinic covers the tuition and fees for its five-year programme focusing on research. Most of the roughly 20,000 students per year enrolled in US medical schools take out sizeable federal loans to support their studies. According to the Association of American Medical Colleges, in 2017, the median debt for graduating medical students was $192,000 (£151,000).The median cost of medical school attendance, including living expenses, was $60,945 (£47,906) a year for public medical school and $82,278 (£64,675) for private medical school. This may be a indicator of the future days to come, the need for medical education to be cheap or made free, to encourage young generation to become doctors. Society has the choice to encourage and nurture good doctor for itself or discourage them by financial exploitation and subjecting them to debt trap. NYU has wisely decided on its choice. For the reason medical education is almost free in most of Indian medical colleges the graduates do not have any loans.